One of the best things about this time of year is seeing our Young Authors’ Book Project anthology of student writing come together. In one year, our young authors—in collaboration with MOI staff, a fabulous local guest author, volunteers, and our beloved partner teachers,—create a book! The process is collaborative, interactive, and creative, and at the end, something beautiful is birthed. I just had a chance to read through our manuscript from this year's project, partnering with 9th and 10th graders in the South High All Nations program. Reading through the finished pieces is a joy and a great learning experience, but additionally, I love reading the students’ biographies that accompany each piece. Each student chooses a few facts to share about themselves and their young but rich lives. This year, many of our students’ biographies emphasize that despite what others may think, they—and the rich lineage of Indigenous people they come from—are still here. When I read these biographies in conjunction with the students’ poems and stories about identity, growth, and family, slowly a full portrait of the author comes together. As I pored through the anthology, I was fascinated by the stories we tell about ourselves—which facts are most important, which things we are most proud of, and what are those things we think must be shared in order for someone to understand us. MOI is getting ready to do this same kind of storytelling as we prepare to join the 826 National network of youth writing centers later this year. By becoming a chapter in this network, we will join a movement for amplifying youth voice (not to mention a network of spies, superheroes, pirates, bigfoot researchers, robots, magicians, ghosts, time travelers, and now oceanographers). At MOI, we have always been about putting Twin Cities students’ words out into the world, and now we will have a bigger stage than ever to do so. Over the coming months, I am excited to have a conversation with our community about what Twin Cities youth voices can contribute to this national dialogue. What are the important things we should note in the biography of our cities and our students? What do you think is the unique and invaluable perspective the young people of our community can bring to the rest of the world? Our YABP students have voted on the title and cover of our upcoming book anthology. MOI is excited to announce that the winning title is Indigenous Originated: Walking in Two Worlds. Nearly 50 students have submitted their works of poetry, essays, illustrations, and short stories to be published. In every session we have with our students, they grow prouder and more excited for the publication. On May 10, we will have a book release party in conjunction with the annual All Nations Powwow at South High School, followed by an off-campus book release at Moon Palace Books on May 23 from 6–8 p.m. Mark your calendars and join us! On March 22, we hosted Writing New Worlds: a multilingual poetry workshop. In our second Creative Writing Workshop of the year, students were able to express their ideas about family and community in English, Somali, Amharic, Oromo, and Arabic through poetry using refrains. Their pieces were not only creative, but also meaningful. I support MOI because they empower the next generation of Twin Cities readers and writers. You can support them too at givemn.org/moi-msp. Anchors aweigh! MOI is on a mission to empower the next generation of readers and writers. Put some wind in their sails by donating at givemn.org/moi-msp today! Tag us in your posts @moi_msp on Instagram and Twitter, and @mspmoi on Facebook. This year, for the Young Authors’ Book Project (YABP), MOI partnered with Native American rap artist Tall Paul. Tall Paul is a South High alumnus based in Minneapolis. 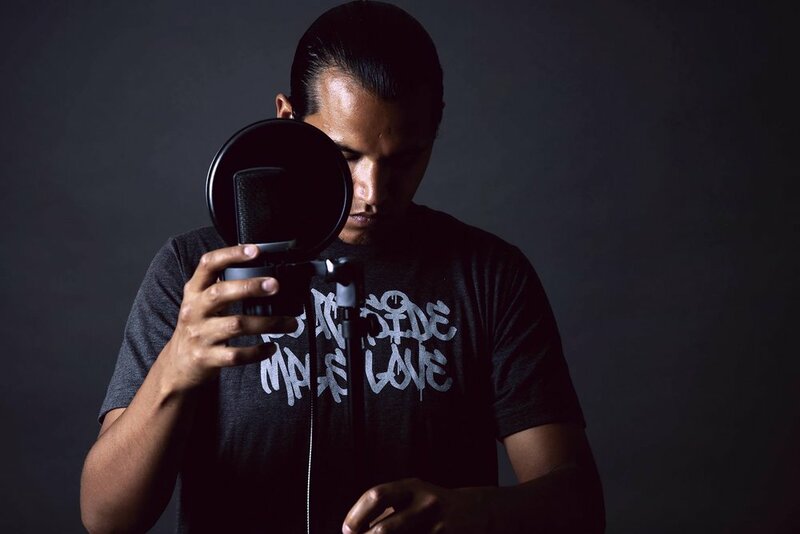 In addition to empowering the voices of the All Nations students in YABP this month, Tall Paul also released a new music video for his song, “Spirits Testin’ Ma Gangsta.” Check it out here. Support Tall Paul’s work by following him on Facebook, Twitter, and Instagram @TallPaul612. Take a tour through MOI’s South Minneapolis headquarters with longtime student and MOI expert, fifth-grader Selama. Thanks to 826National for sharing our video with their nationwide community this month! On March 14, MOI hosted our third annual Trivia for Cheaters Fundraiser and raised over $16,000 for our programs and young authors. We’d like to express our deep gratitude to the 262 donors, 21 teams, more than 80 players, 6 volunteers, 18 businesses who donated, two sponsors (Fredrikson and Byron, P.A. and Minneapolis Global Shapers), and one fabulous host venue (La Doña Cervecería) who made the event such a success! If you didn’t get a chance to donate to Trivia for Cheaters, you still can by following this link.